Allow terrain to host your next celebration. Our Garden Shed, Hot House, and Mushroom House are available for events small and large. Event services include: Showers, Weddings, Rehearsal Dinners, Anniversaries, Engagement Parties, and Fundraisers. 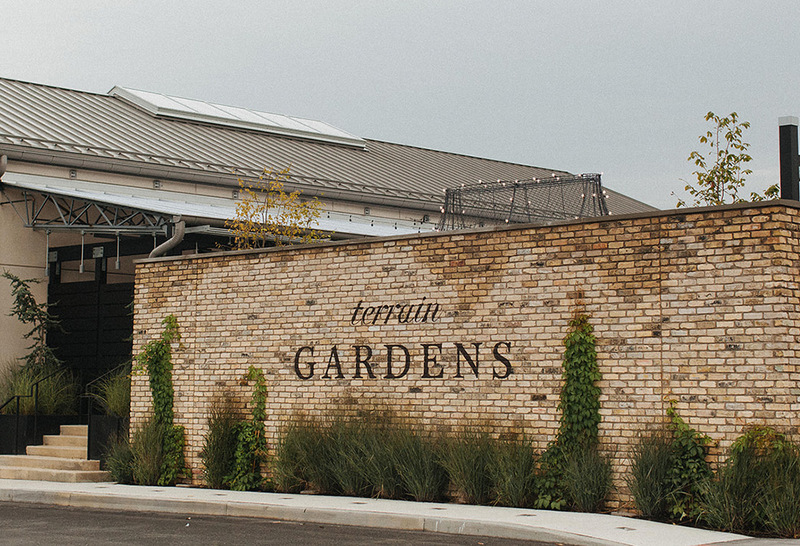 Terrain Gardens at Devon Yard offers a lush, horticultural setting with ever-changing greenery that creates a lavish backdrop for special occasions year-round. The venue, situated on the Philadelphia Main Line, provides guests with an unforgettable experience – from conception and planning to the enjoyment of the day’s festivities. The Ceremony Garden, Reception Room, and Garden Porch can accommodate parties of many sizes and additional spaces at Devon Yard may also be reserved for rehearsal dinners, groom’s packages, send-off brunches, engagement parties, bridal showers, and more. Our space can accommodate up to 140 guests for a seated dinner, with room for dancing, and up to 200 standing.